We evaluate and treat kids and teens with a wide range of sleep disorders. Daytime sleep consultation: The first step to evaluating and managing a sleep disorder may be a daytime consultation with a sleep disorder physician in his or her office. Overnight sleep study: Your doctor may determine that your child should undergo an overnight sleep study (polysomnogram) at one of our sleep labs. Have a 20- to 30-minute relaxing bedtime routine that is the same every night; this can include reading a book or talking about his day. Go to bed at night and get up in the morning at the same time every day. Have a comfortable, quiet and dark bedroom; he will sleep better in a room that is cool. Have caffeine at least three to four hours before bedtime. Have a TV in his bedroom; he can easily develop the bad habit of “needing” the TV to fall asleep. Play video games or use the computer before bedtime. Go to bed hungry; a light snack before bed is OK.
Use the bedroom for time-out or other punishment. You want your child to think of his bedroom as a good place, not a bad one. 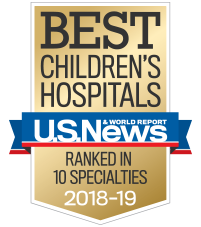 At Children's, we combine the latest technology and research with a caring, child-friendly approach, making us a top choice for children and teens with sleep disorders. The following doctors see patients at the Center for Advanced Pediatrics and the Marcus Autism Center. The following doctors see patients at our Mount Vernon Highway, Alpharetta and Newnan offices. On Sept. 19, 2018, our practice, along with our doctors, nurses and staff, moved from our North Druid Hills office to a new location in the Center for Advanced Pediatrics. This facility is located at 1400 Tullie Road NE in Atlanta.